Ball & roller bearings, bearing units, track rollers, housings and accessories. Over forty leading manufacturer distributorships ensure high quality bearing, linear motion, power transmission and maintenance products with guaranteed traceability. 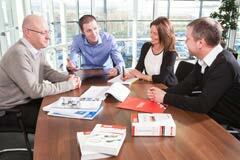 Our dedicated product managers are on hand to offer product advice. With regional distribution centres throughout the UK there's a branch near you. Why wait for your products? ACORN® can despatch your items same day. Meeting the needs of our global customers. Acorn Express is the quick and easy way to order products online day or night.